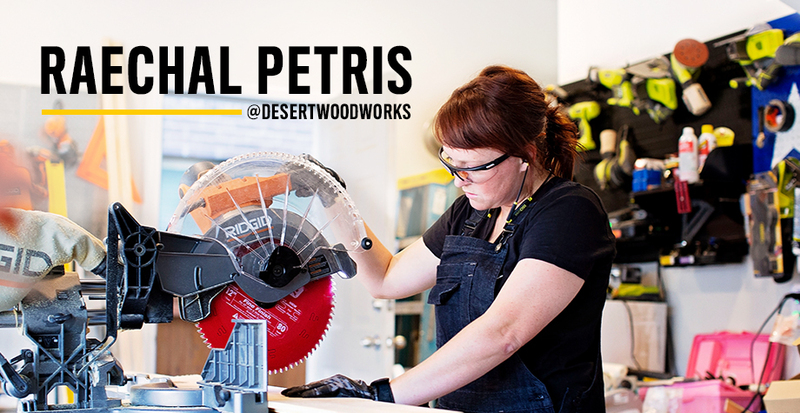 Raechal Petris is an avid DIYer and Woodworker living in the Dallas area with her husband and happens to be raising four little girls at the same time. We recently teamed up with Raechal and the IG Builder’s Challenge, a social challenge to build which she co-founded with two other DIY’ers, to make our Build for Better kick off come to life. We built 12 desks for a non-profit from reclaimed materials to help celebrate the kick off the IG Builder’s Challenge that this year, is a desk. The IG Builder’s Challenge has grown every year, and we wanted to sit down with Raechal to learn more about her, her projects, and a behind-the-scenes look at what it’s like to be considered a DIY influencer. The IGBC challenge started in June 2016. The idea randomly came to me that as builders we are often building from similar or even the same plans- but always modifying or finishing it differently. One plan can create so many different results. I had a group of about ten women in woodworking that I was friends with and I proposed the idea to them that we should use one plan and see how differently each of us build it. I also decided to email Ana White and see if she would be willing to judge this friendly build off and if we could use one of her plans as our challenge piece. With a little persistence, she replied, loved my idea and even sponsored our first grand prize! We have since become friends and she has given amazing advice and suggestions through the first four seasons of growing pains with The Challenge gaining popularity. I last minute decided to share what my friends and I were doing on social media and invited anyone else who builds to take the challenge with us. 32 of us participated in the first season of the IG Builders Challenge and last season we had 1,002 people register to build with me and my team. We have been very fortunate to have the support of some awesome builders as guest judges in the last 5 seasons that have included, Ana White, Shanty2Chic, Clint Harp, David Sheinkopf, Tom Bury, Chip Wade, Jen Woodhouse, Jamison Rantz, and this season Jeff Mack, Brad Rodriguez, and John Malecki. I discovered my love for woodworking when my parents decided to remodel the first floor of their home. I asked my Dad, who is a contractor, if he needed any help. He picked up his sawzall showed me how to use it and I demo’d my first wall. Then he taught me how to frame, drywall, texture, and do finish carpentry. Using all of those tools were a blast! Shortly after the remodel I was at lunch with my a friend who showed me a $3,000 dining table she wanted but couldn’t afford. I remembered seeing a build plan by Ana White for this same table on Pinterest and told her if she bought the wood I’d build the table. Shortly thereafter I delivered a dining table and bench to my friend and haven’t stopped building since. I’ve been building for about 4 years. Building gives me such sense of self worth and is so empowering to do it myself and share the process with others. Plus my husband hasn’t gotten an anniversary, birthday, or Christmas wrong since I started building because anything he buys from Home Depot is a total win! The best part of the DIY community are the amazing bonds you create with the people you meet. Ana has been such a mentor and support to me thru the beginning stages of the challenge. This is someone I never thought would even have the time to email me back and to discover this genuine person who is rooting for others to succeed was awe inspiring. I would not have kept putting these Challenges together had it not been for her continuous friendship, help, and advice during the first four seasons. 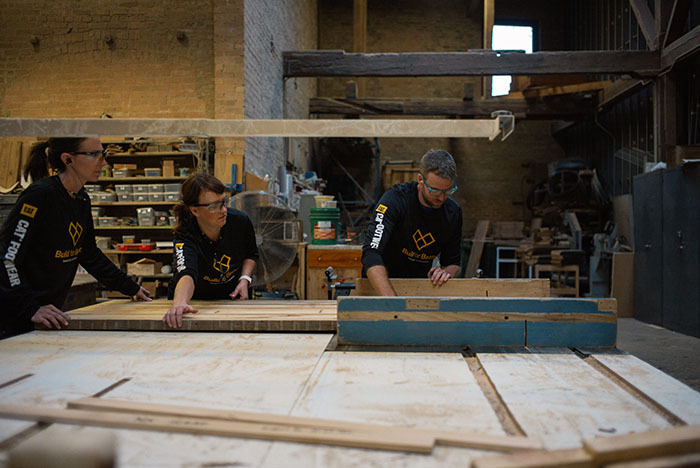 We put our literal blood and sweat into making this bi-yearly event happen because of the comradery we feel with those who share the same passion for woodworking. The support that everyone shows to those participating is amazing. The help that is provided to those who are stuck in a step, or not sure which joinery method to use or finishing product to buy is incredible. The two people on my team are dear friends I know I will have for life. Adam and Lana saw the potential of what an amazing project this was and pushed me to keep going even when I wanted to quit because there was so much work and out of pocket expense involved in the first 3 challenges. They helped me streamline the challenge into a well oiled machine and every season we look at the last and together as a team figure out what we can do better and what we can change to make the next one better than before. My typical day involves prioritizing. Having a list and hoping I can cross a couple things off at the end of the day is always a win. I get my four daughters off to school, and while the youngest is at preschool I try to get the loudest and dirtiest part of my woodworking accomplished. My shop has a TV and mini fridge so she often hangs out with me and even works on coloring her own piece of wood while I try to find a good stopping point before the other three get home from school. We recently built a new home, so often times I’m either building a piece of furniture or doing finish carpentry on some part of our house. 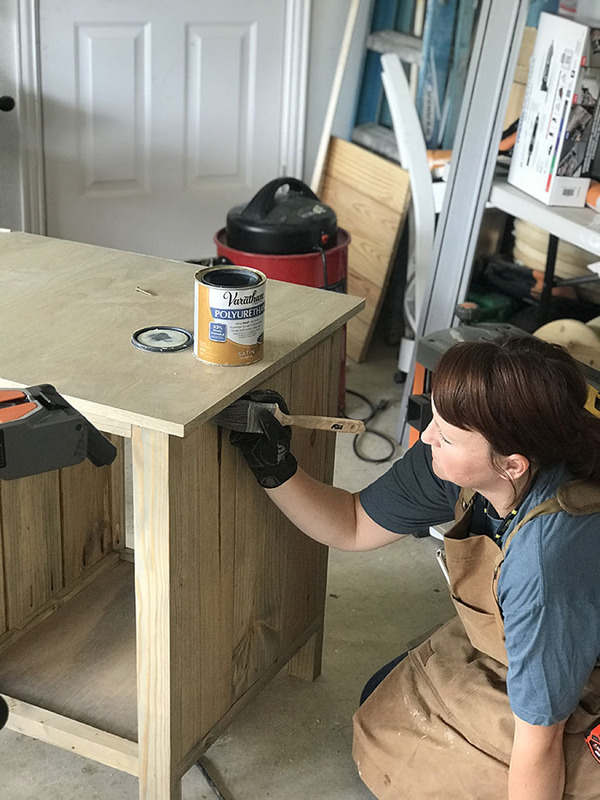 I recently built a mudroom and added shiplap to two of our bathrooms and am currently working on building a desk for my daughters room, a dining table, and a console table for our entryway. I have a lot of building to do to furnish our new home. I’m excited and love the feeling that I’m contributing into making our house a home with special pieces that are handbuilt by me throughout. My favorite part of a project actually might sound kind of silly. I love to take a picture, for myself, of the pile of wood before I start building and milling it into a new piece of furniture. When my build is complete, I always look back at the picture and love the feeling of pride that swells as I see what this pile of wood became with my own two hands. So I guess you could say my favorite part of a build is the absolute beginning and the absolute end. MY go-to tip for anyone is never let cost stop you from doing or creating what you want. Tools aren’t scary, start with a drill and when you realize how awesome you are at drilling move on to another tool. It’s all about finding your comfort level and then challenging yourself to do more and learn more. There are some amazing builders in the woodworking world who create free plans and tutorials for anyone on any building level to use. 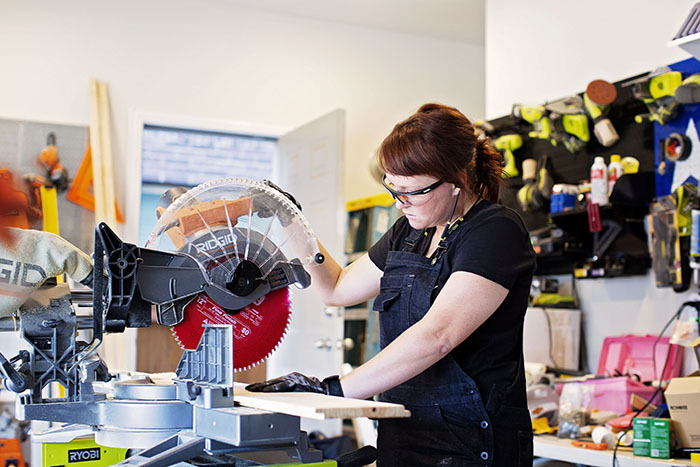 So many woodworkers are embracing the maker movement and want to see others succeed as well. They create these plans and tutorials with this exact thought in mind. I have two pairs that I’m currently completely obsessed with. 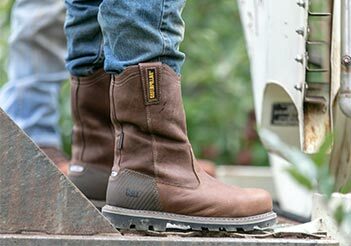 The Woodward because they are comfortable, easy to pull on and off and cute! Just because I’m in the shop getting dirty, doesn’t mean I can’t look cute doing it! My life as a Mom means I go from having a drill in my hand to dropping off a child at soccer or piano lessons, so when I don’t have to look like I just walked off a construction site I’ll take it as a total win! I also have to mention my Starstrucks. 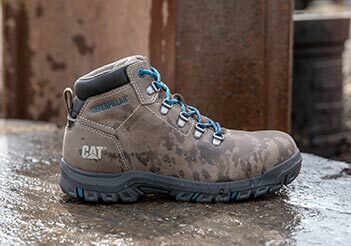 If I’m not in my shop, I’m wearing these shoes. I wear them to yoga, school pickup, running my errands, and recently all day at Disneyland. The arch and ankle support is amazing. 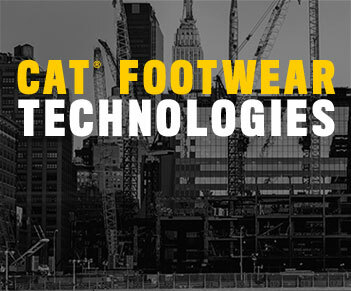 Cat Footwear puts serious thought into every part of their shoes that they create. I don’t have to ask them this to know it, I can tell with each pair of shoes I wear made by them. 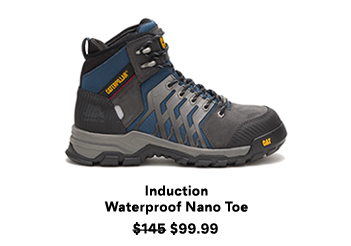 Everything down to how the shoe is laced has been thought about by a team of people who get why good footwear is so important.